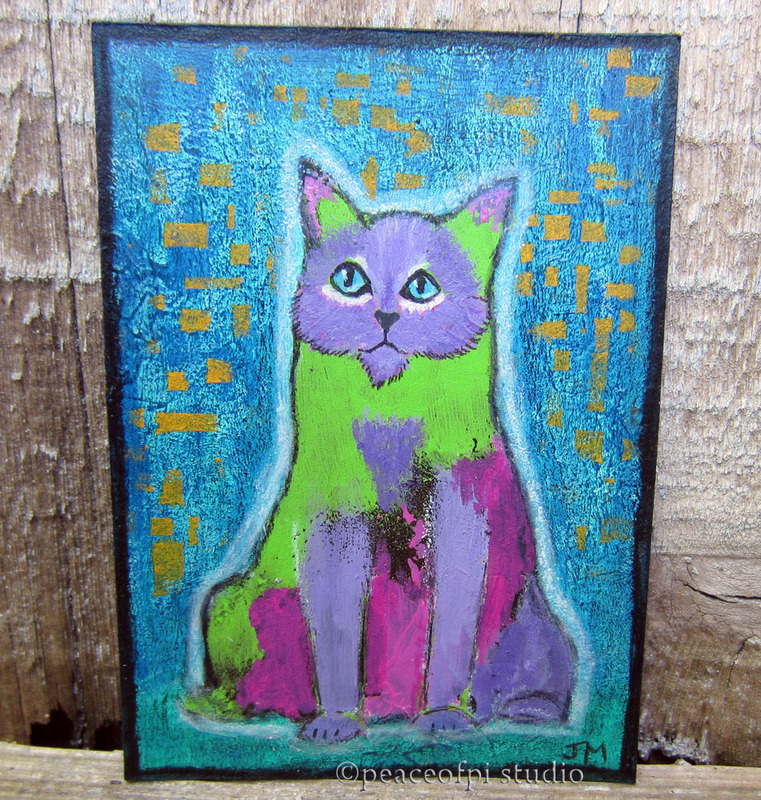 Ever seen a green, purple and pink cat? Well this one is star gazing in this tiny painting. Titled Electric Cat, the painting is ACEO sized at 2.5 X 3.5 inches (ACEO = Art Cards, Editions and Originals). It's a surreal interpretation of the mysterious inner world of the cat.